Bungie switches the title of their upcoming campaign expansion pack, nothing regarding the game has changed and yes, you can still has Recon armor. Whether or not Bungie felt odd about releasing a game named after a piece of armor that people have been known to viciously hack Xbox Live accounts, what matters is that from this day forward the game formerly known as Halo 3: Recon shall now be known as Halo 3: ODST. In a news item on its official website, community staffer Brian Jarrard says that the new title is "a more straight forward account of the experience that awaits and the role you will assume as you explore the streets of New Mombasa." 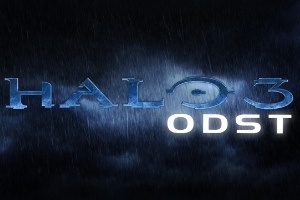 The name, Halo 3: ODST, is the acronym for "Orbital Drop Shock Trooper," the soldiers that you'll be taking control of when the game ships Fall 2009. "This special forces branch of the UNSC military force is called into action for highly specialized, small scale operations," explains Jarrard. "ODST units were deployed during portions of the Halo 2 and Halo 3 campaign and have also been featured in some of the Halo novels." Aside from the change in title, nothing else concerning the game has been altered. You still assume the role of an ODST, sneaking about the ruins of New Mombasa in search for your missing squad. The title change also doesn't affect the opportunity to acquire the much coveted Recon armor, as those are tied to the achievements you can earn. As far as Bungie is concerned the change is already complete, with everything from wallpapers to the original announcement trailer on the official website being changed made to reflect the new title.